Transportation and admission to the San Diego Safari Park are included in this activity for the entire family. Guests will be able to spend the entire day viewing the exhibits and learning about animals that are native to Africa and other continents. There are also food vendors at the park as well so that guests can enjoy lunch. From souvenir shops to get a treat to take home to exploring the numerous animal habitats, guests can enjoy a full day at the Safari Park. Exhibits feature giraffes, gorillas, zebras, and polar bears. There is information provided at each exhibit that offers details about each animal and where they live in the world. The African exhibit is the largest in the park and features lions as well as other African animals. This is also one of the newest exhibits in the park. The African safari habitat expands over 30 acres. There are plenty of picture opportunities in front of the exhibits and at other areas of the park. A monorail is in the park that guests can ride to get an overall view of the exhibits and to get an idea of where they might want to visit first. The San Diego Safari Park adventure includes transportation and admission. Guests can view animals from locations that include Africa and Asia. Souvenir stores and food carts are set up throughout the park for guests to enjoy. 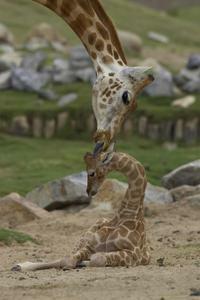 The Heart of Africa is the largest, most exciting new development in San Diego Zoo Safari Park history. It invites you to experience an African style safari as you search for wildlife in the 30-acre habitat. The WAGASA Bush Line Monorail is an incredible 55 minute ride which takes you through Africa and Asia to see animals in the expansive, naturalistic enclosures of San Diego Zoo Safari Park. Test your wildlife knowledge at the Animal Trackers show, and get up-close and personal with animals at various keeper talks throughout the day. With so much to see and do at San Diego Zoo Safari Park, you are sure to enjoy a day of fun and education for the whole family.